The months are just flying by at the moment and, since the end of March is nearly upon us, here's MD201603 for your delight and delectation. 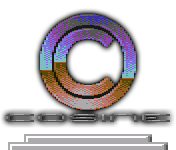 Code and the character set are by T.M.R but, in a first for the Monthly Demo series at least on the C64, this one has shiny new graphics and music from aNdy! And we're pleased to announce that he's also taken the very questionable bold step of signing his life away to join Cosine - nice to have you on board! Finally, there's more news from Odie's music studio; the latest piece to receive the remixing treatment is the main theme from our 16K cartridge game Vallation 16K and it sounds very nice as well! Why not have a listen over at Soundcloud.